Roll Forming & Roll Formed Products - Johnson Brothers Metal Forming Co.
Strut Channels, Metal Framing, Busduct & Supports. 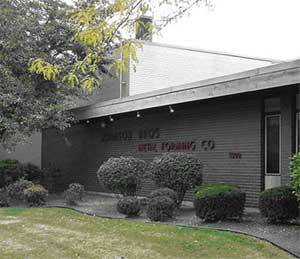 Since 1948, Johnson Brothers has been a leader in the roll forming industry. For generations we've delivered quality roll formed products to hundreds of industries including roll formed metal parts for furniture, partitions, displays, racks & storage, filters, refrigeration and too many others to list. From roll formed angles, u channels, c-channels, to roll formed profiles and mouldings, Johnson Brothers can do it all. Whether it's a small or large run, our fully capable manufacturing process can take your custom roll formed metal part from concept to completion. Please contact us today or complete an online quote request. We're looking forward to fulfilling all of your custom roll formed metal needs. If you want to visit our site again, please bookmark or you can recommend our site to a friend. Proudly Servicing American, Canadian & International Companies on all custom roll forming needs!